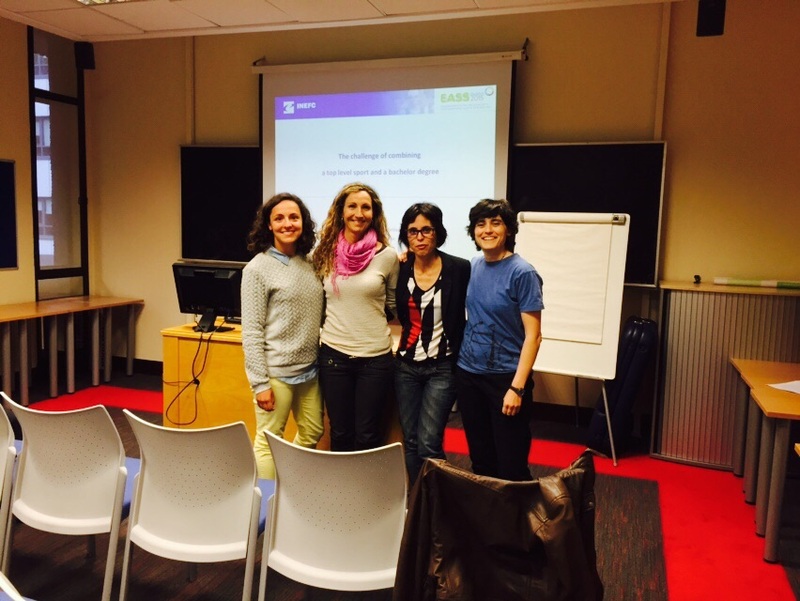 Les membres del grup GISEAFE, Betlem Gomila, Pedrona Serra, Susanna Soler i Anna Vilanova, varen assistir a la 12a edició de European Association for Sociology of Sport, celebrat entre els dies 10 i 13 de juny a Dublín (Irlanda). Serra, P.; Soler, S.; Vilanova, A; Camacho, MJ. & Rey, A. (2015). Chance of getting work: Girls’ future work and their imaginary job with PA&Sport Science Degree. Vilanova, A. & Gomila, B. (2015).The challenge of combining a top level sport and a bachelor degree. Podeu consultar el llibre d’abstracts fent clic aquí.